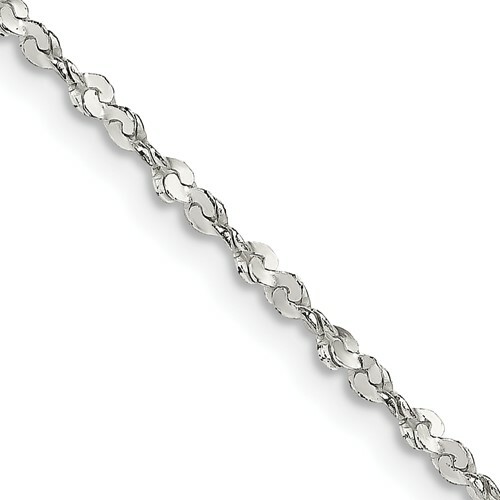 Solid sterling silver twisted serpentine chain has a lobster clasp. Diamond-cut. Length: 16in, width: 1.8mm. Weight: 4.44 grams. Made in India.